Have you been thinking about purchasing an INFINITI coupe in Gretna, LA? You’re not alone. It is one of the most popular vehicles on the market, and it seems like everyone in town wants to get their hands on one. But what if it’s not the right car for you? Some people are better off going for another type of INFINITI vehicle over a coupe. That might be the case for you, so you need to take a look at when it’s best not to buy a coupe. Do you have a large family? Maybe you have several children that you need to take to school, extracurriculars, and other activities throughout the week. If so, then you may want to rethink getting an INFINITI coupe. Why? Because a coupe isn’t large enough to fit several people comfortably. If your top priority is to make sure you have a reliable vehicle for your family, you can look at something like a sedan or an SUV instead. This one might not apply to everyone. Plenty of people in Gretna, LA, like to get away from home, and they don’t mind doing it in a coupe. But most people prefer to drive something bigger when they go out of town on a regular basis. That’s because larger cars can more adequately fit luggage, souvenirs, and anything else you might want to bring with you. Therefore, think about how often you’re going to be traveling on the road before you take that jump and buy a coupe. Do you want to get off the road from time to time when you’re exploring the great outdoors? If so, an INFINITI coupe is probably not the best car for you. While they look amazing on the road, they are not ideal for off-roading. A truck or an SUV is a better option if you want to explore nature more in your vehicle. These are a few reasons not to buy an INFINITI coupe, but there are many other reasons why you should consider one. The coupe is reliable and stylish and looks great out on the road. 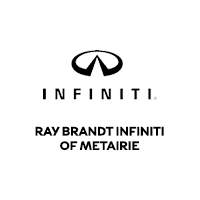 To see one for yourself or any other type of INFINITI vehicle, come to Ray Brandt INFINITI today.